An easy and delicious shredded Brussels sprout salad made with just 7 ingredients! 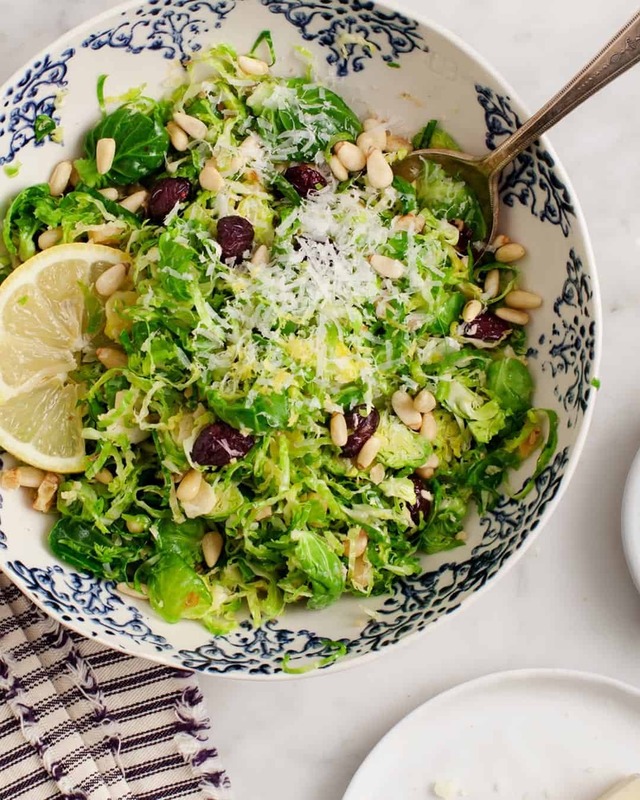 The perfect salad to make ahead for holiday gatherings or pack for a healthy winter lunch. I just woke up to a snowy white Saturday morning, which means that it’s the perfect day for… salad! Ok, maybe I’m the weird one that just loves salad no matter what’s going on around me. If you’re craving something warm and cozy, go make a mug of this cacao hot chocolate then come back here if you’re looking for an easy Brussels sprout salad to make for weekend holiday festivities. 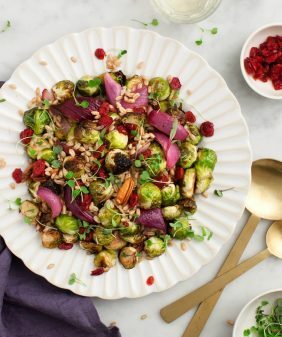 This one will be your go to throw-together winter salad that you’ll crave when you want a break from cookies and other indulgent treats. 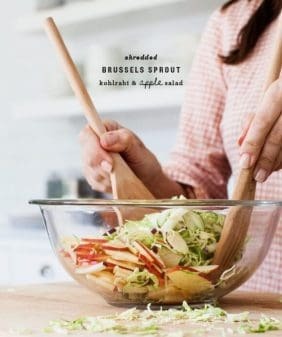 The Brussels sprout salad recipe comes from our book and after making it multiple times Thanksgiving weekend, I just had to share it here because it’s such a breeze to put together. You can make it hours in advance and even though it’s made with so FEW ingredients, it’s so delicious. Quick tip: look for pre-shredded Brussels sprouts (I’ve seen them in many stores recently). I don’t often buy pre-cut vegetables in bags, but I won’t tell if you won’t tell. 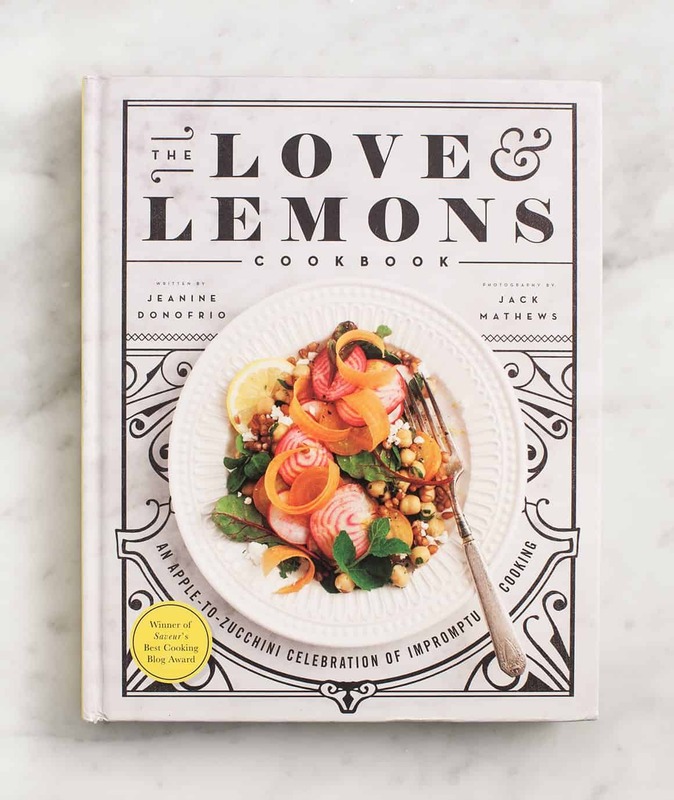 Also, a reminder that our cookbook makes a great holiday gift! 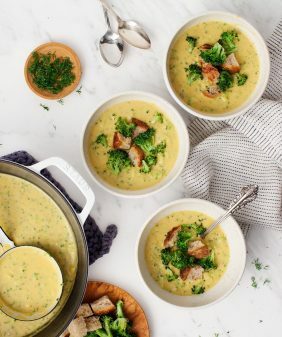 It’s packed with tons more easy and delicious recipes like this one 🙂 Click here to read more about it! An easy and delicious shredded Brussels sprout salad made with just 7 ingredients! The perfect salad to make ahead for holiday gatherings or pack for lunch. Thinly slice the Brussels sprouts using a mandoline if you have one. 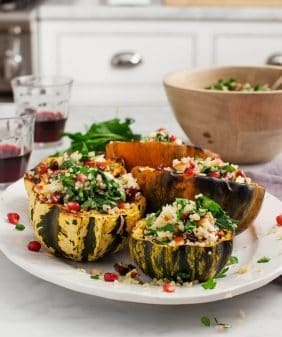 Place them into a medium bowl and toss with the olive oil, lemon juice, pine nuts, cranberries, pecorino cheese, chives, and pinches of salt and pepper. Let the salad sit at room temperature for 15 minutes, then taste and adjust the seasonings. Finish with an additional drizzle of olive oil if you like. I knew this looked familiar. One of my faves. 🙂 Speaking of your cookbook, any possibility that a sequel might be in the works? That would be so neat. 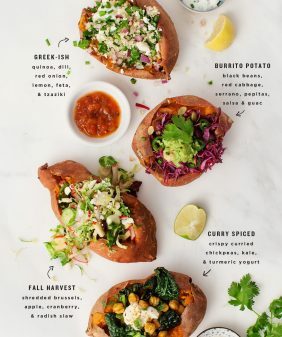 I’m vegan & pretty busy so that might limit the extent of my usefulness as a recipe tester but feel free to email me with more details, ’cause I’d love to help you out! 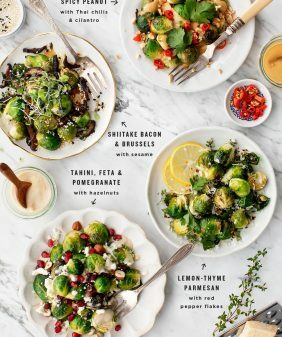 Are the Brussels sprouts cooked prior to adding to the salad? I should add, that I sliced the Brussels sprouts with a mandoline, if they had been shredded, I bet their wouldn’t have been a problem. I’d definitely try shredding them… I slice them with the mandoline (or a knife) and just pull the strands apart with my hands. Or I often buy the bagged pre-shredded sprouts from the store. You might also try letting it sit a bit longer than the 15 minutes so that dressing really breaks down the raw-ness of the sprouts. Hope that helps! This looks awesome! I love a good brussels sprout salad. Thanks for the recipe! Hi Bet – I’m so glad to hear that! I love when I can use up what’s in the fridge! I have never commented on a recipe before – whether on your blog or elsewhere. But I love this. I first made it as a side dish for Christmas and I’ve literally made it just about every week since. I haven’t found pre-shredded sprouts, so I just buy a big bag and dice by hand or send through the food processor. I make a big tub of this and take it for lunch throughout the week (I’m eating it for lunch now, which compelled me to comment). I’ve subbed almonds and sunflower seeds and shredded chicken for the protein. Sometimes I skip the cranberries, sometimes not. But always have some sort of cheese – the pecorino was the best; but it requires a special store trip for me. A parmesan/asiago blend works well, too. Thanks much – it’s a nice change to my normal lunch salads and saves time, too. I also like it for breakfast – excellent with a little crumbled bacon instead of the nuts. I am going to make this for my lunches this coming week. Do you let it sit all week with the dressing or add the dressing each day? Hi Aimee, I let it sit with the dressing for about 2-3 days, it softens the Brussels sprouts nicely. Delicious and so quick. I couldn’t keep my husband out of the leftovers bowl! I didn’t have the cheese the recipe called for, so I used goat cheese crumbles instead- yum! Hi Christy, I’m so glad you both loved it! Ooh, I bet it would be delicious with goat cheese!